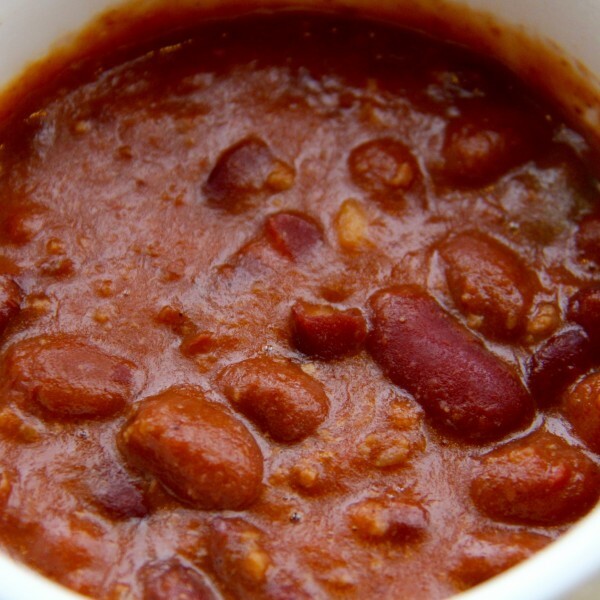 A secret ACME chili recipe that everyone loves. Full of meat and beans, and just a nice punch of hotness! It changes everyday, but they are all hot and great tasting! 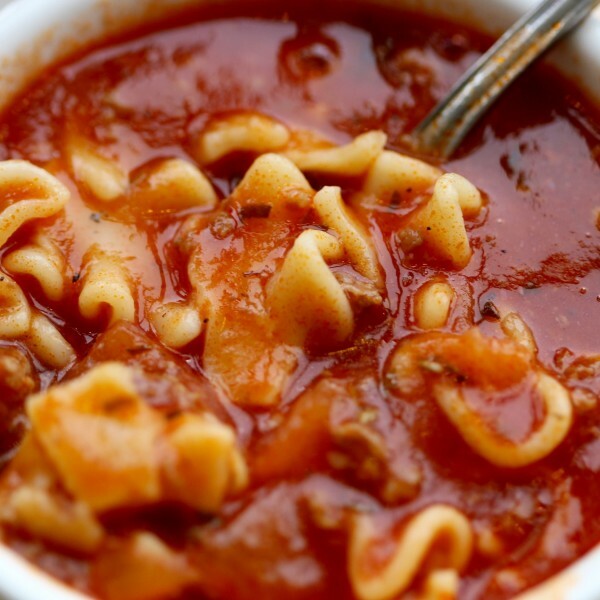 Check our homepage for today's soups. 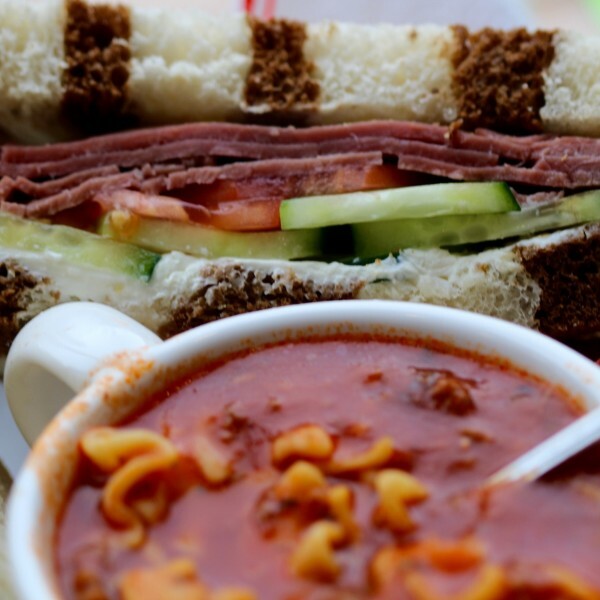 Need a healthy boost to your day? 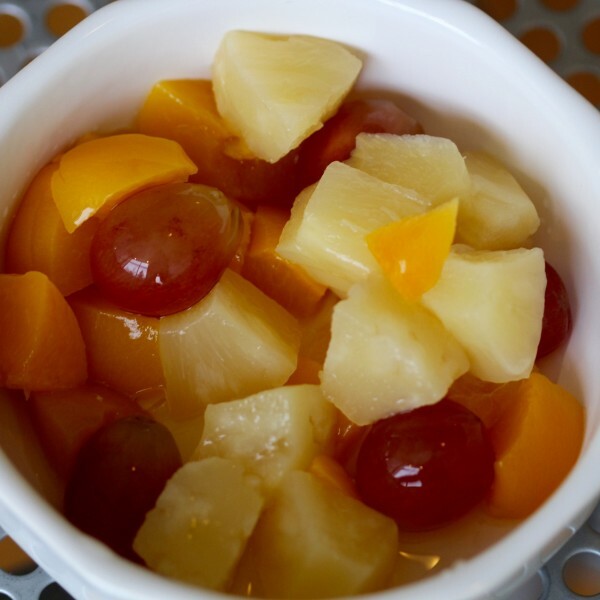 Here it is ... grapes, peaches, and pineapple chunks! 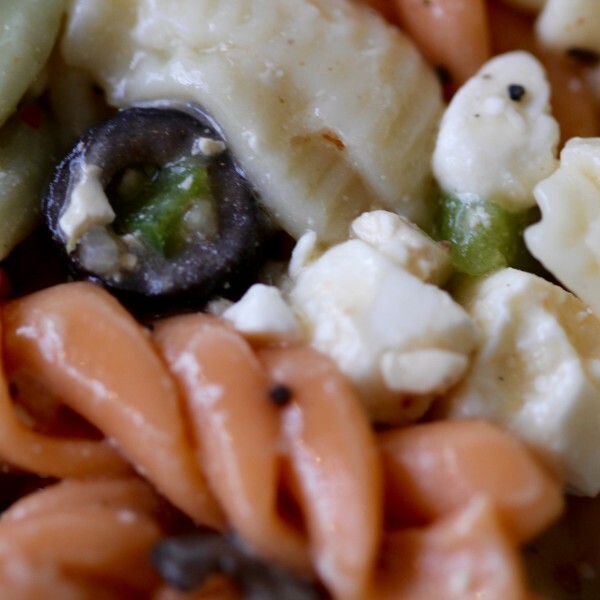 Pasta, cheese, olives and Greek salad dressing, yum, yum, yum. 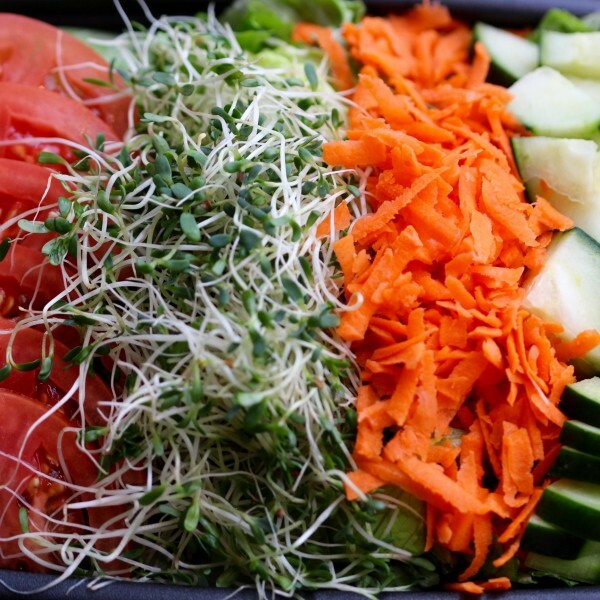 A traditional salad with lettuce, tomato, carrot, cucumber and sprouts with your choice of dressing. Option available to add turkey and/or more dressing. 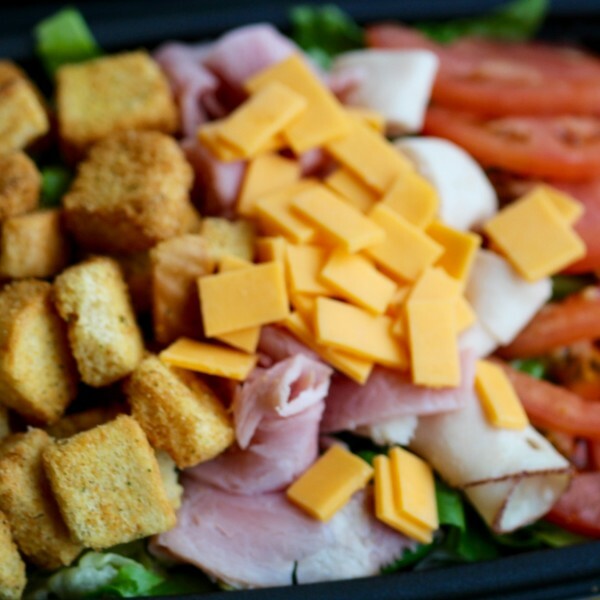 Our house salad is packed with lettuce, tomato, cheddar cheese, ham, turkey and croutons with choice of dressing. Options available to add more turkey and/or dressing. 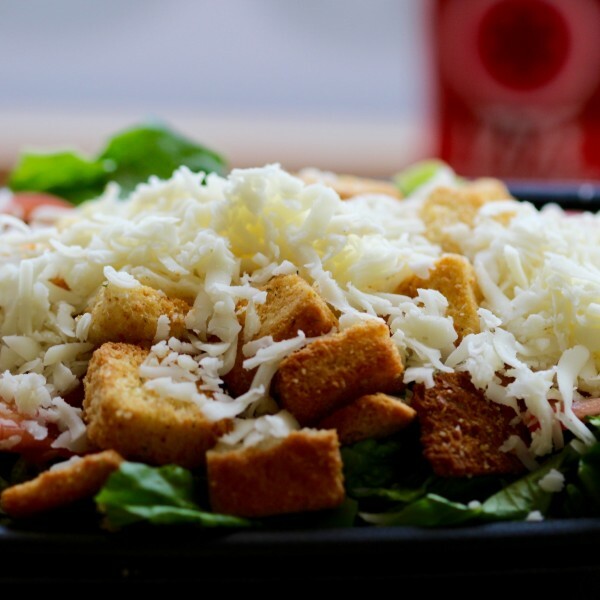 One of the classics with romaine lettuce, tomato, Parmesan cheese, and croutons with Caesar dressing. Option available to add turkey and/or more dressing. Are you a fan of olives? 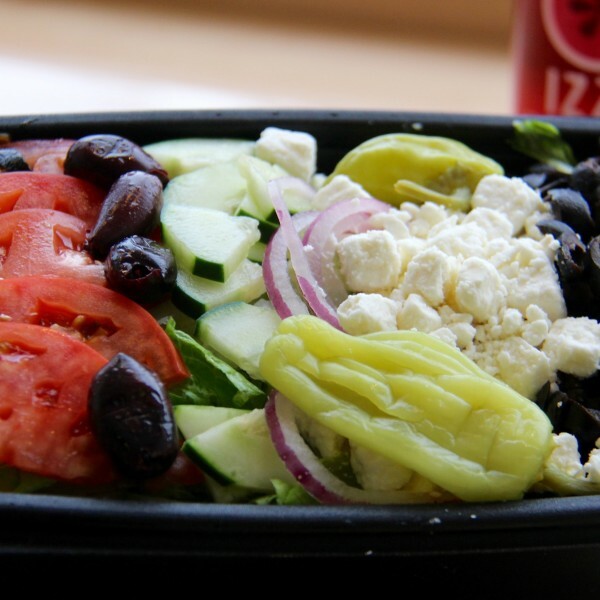 Here is the salad for you with lettuce, tomato, cucumber, onion, feta cheese, pepperoncini and olives w/Greek dressing. Option available to add turkey and/or more dressing.